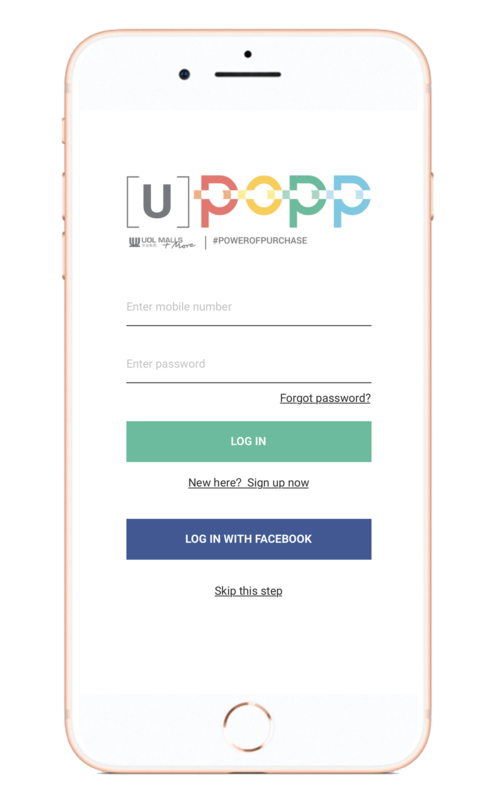 U-POPP - UOL's Power of Purchase Program, designed to optimize shopping experience. Member can earn and accumulate POPPoints with their purchases to redeem for exciting rewards! Be a member of U-POPP and enjoy the power of purchase now! Spend a minimum of $20 in a single receipt at any of the participating outlets, and submit the receipts either on U-POPP Mobile App, or head over to the respective malls' Customer Service Counter to accumulate POPPoints. Click on the 'confirm' button to redeem your e-Voucher. Once redeemed, the e-Voucher will appear under 'My e-Vouchers'. Redeem your rewards through U-POPP Mobile App Today!